Most of my projects involve working with photographs. 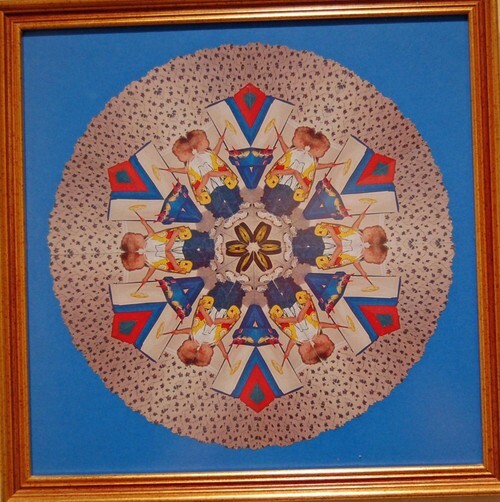 Over the past few years I have enjoyed making kaleidoscope photo collages, using them as framed art as well as centerpieces for scrapbook pages. Here is one of my first. The subject is grandson Tyler (then age 3, now age 9) at his paint easel in their kitchen. Can you see him? Try squinting for a different effect.